St. John's Howard Miller Wall Clock by M.LaHart & Co.
Every college sports fan enjoys an NCAA and College Shop gift. St. John's University wall clock, by world-renowned clockmaker Howard Miller, features St. John's shield beautifully detailed on polished brass lyre pendulum. 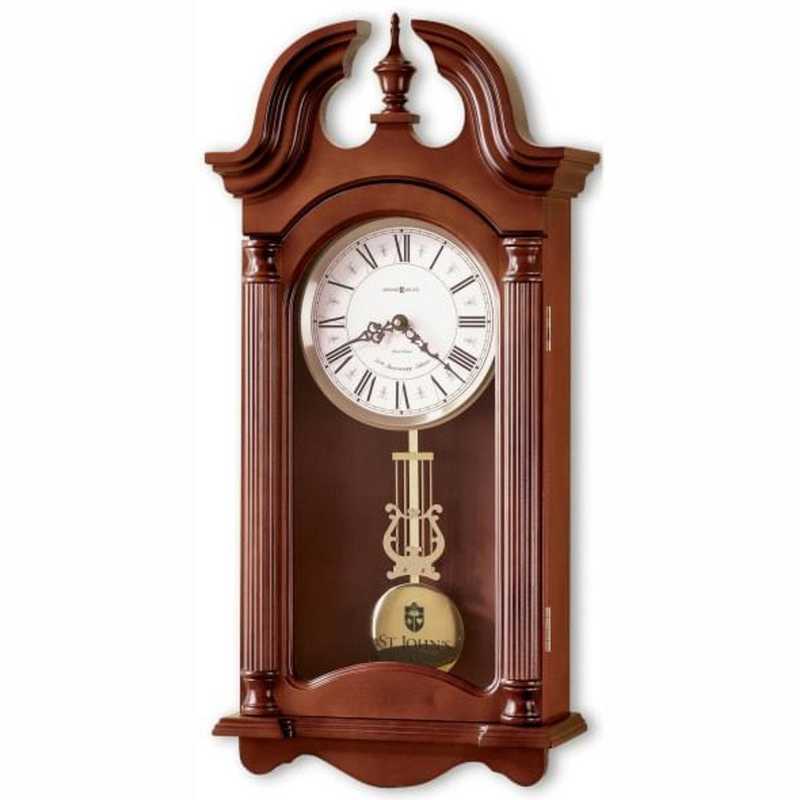 A handsome addition to any home or office., Measures 26 1/4” H x 12 1/2” W x 5” D., Crafted from finest hardwood and veneers with a Windsor Cherry finish., Antique white dial with black Roman numerals and raised brass rim., Classic Westminster chimes sound on the hour. Features volume control and automatic nighttime shutoff.. , , Officially licensed by St. John's University.Manufacturer direct from a trusted supplier. You're reviewing:St. John's Howard Miller Wall Clock by M.LaHart & Co.